Welsh male vocal group Only Men Aloud have announced a new Christmas tour to get audiences into the festive spirit with dates across the UK. Only Men Aloud have been delighting audiences around the world for well over fifteen years injecting new life and blood into the Welsh Male Voice Choir tradition. The men have become well known for their strong vocals and their varied and eclectic repertoire. A typical OMA concert will feature many different styles of music from Welsh hymns and folksongs, opera and musical theatre all the way to swing and pop music. Nearly ten years ago, they were named BBC One’s Last Choir Standing and this led to an album deal with Universal Records. In 2010, they won a Classical Brit Award for Best Album of the Year. They have toured every year since winning the show and have worldwide record sales of over 300,000. Over the years, the hugely popular group has built up a strong fan base across the country and were honoured to be asked to sing at the London 2012 Opening Ceremony at the very moment the Olympic Flame was lit. This performance was broadcast to an estimated global TV audience of 900 million people. Only Men Aloud will play at The Apex on Wednesday 20 December at 7.30pm. 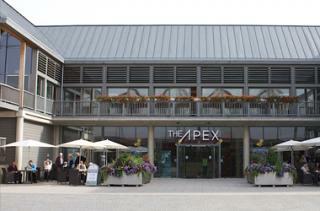 Tickets are £25, ring the box office on 01284 758000 or see the website, www.theapex.co.uk for details.